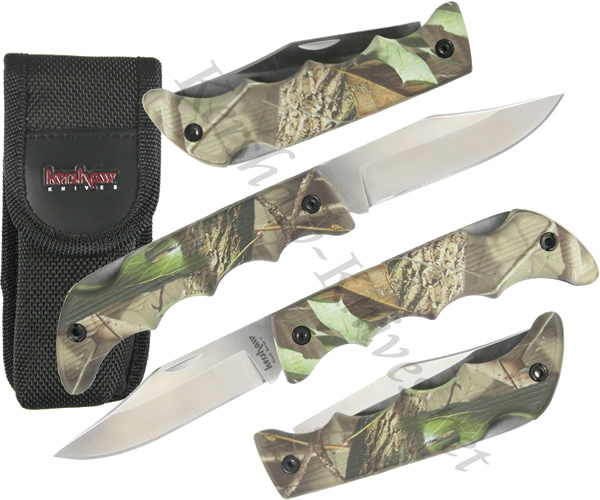 A tried-and-true, simplistic design makes the Kershaw Black Horse II Camo 1060RT a dependable go-to knife. The Real Tree camouflage co-polymer handle is why it gets to hang out with the cool kids. The clip point blade is 8CR13MoV stainless that locks into place and is released with a traditional lockback. Deep finger grooves in the handle allow you to get a firm grip. The Kershaw Black Horse II Camo 1060RT is razor sharp and ready to be put to use straight out of the box.